Hi everyone!!!!! Happy heart month and the month the holds two wonderful days close to my heart….I was talking about National Pizza and Bagel Day duh! Haha anyways being that this is the unofficial official month of everything pink, red and love I wanted to share one of my newest loves with you all! I recently highlighted my hair during my break from nursing school and naturally I needed to find products for my hair that helped restore it to its original lustrous form. Let me just tell you this line from L’Oreal is my current hair obsession you guys. My friends over at Influenster so kindly sent this my way and it couldn’t have come at a better time 1. I had just run out of my current shampoo and conditioner and 2. I just colored my hair! This first thing I noticed when I used the shampoo and conditioner was how AMAZING it smells, truly just like I was getting a wash in the salon. I know its kind of odd to some but when a shampoo or hair products smell luxurious I just fall in love with them. 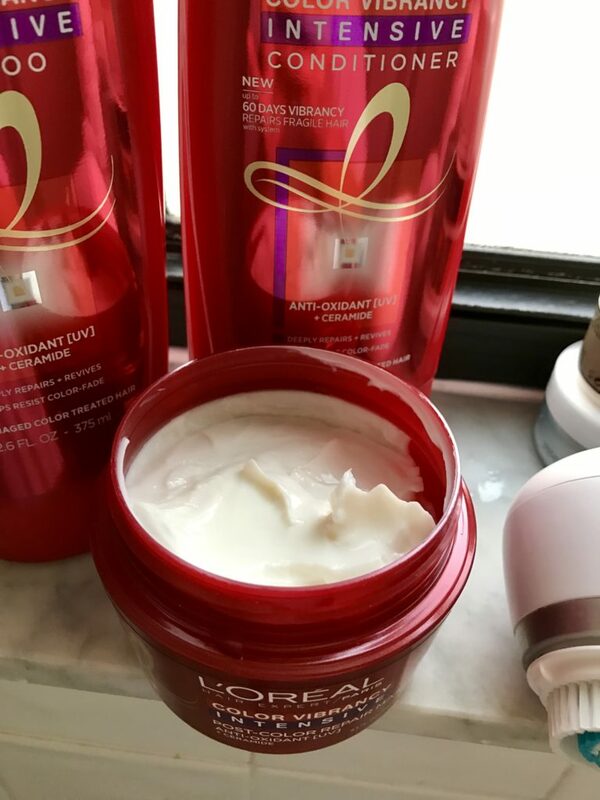 However, not only do these products smell wonderful but they left my hair so incredibly silky and hydrated I almost couldn’t believe it. 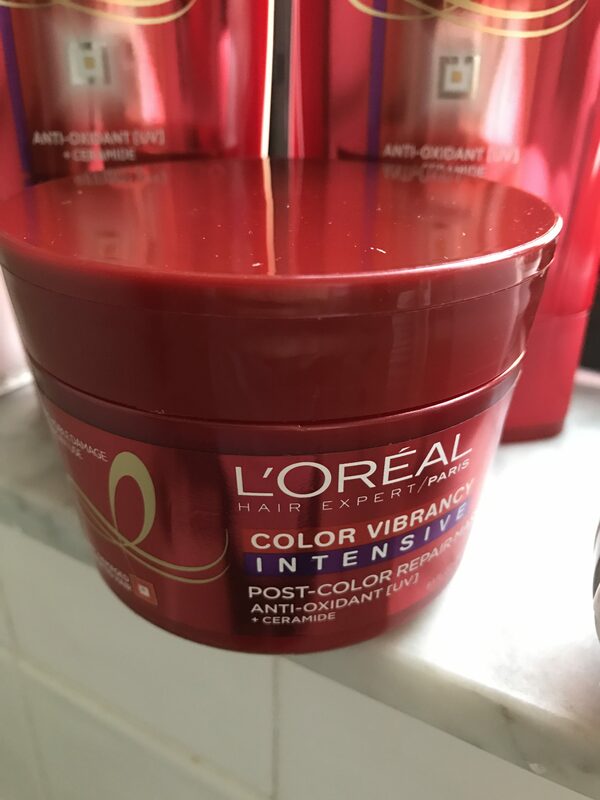 The masterminds over at L’Oreal developed this Color Vibrancy Intensive line that seals in your color for 60 days and helps to repair the damage to restore your hair to its pre-colored state. I found myself obsessively touching my hair in class that everyone thought I was nervous haha, I just couldn’t get over how soft it was. Now the hair mask is something entirely of its own my friends. It smells just as heavenly as the other products but it is so thick and creamy that it almost feels like custard in the jar. A little of this goes a very long way for me, mostly because I put it only in the ends of my hair so it doesn’t get too greasy. I have very fine hair so a lot of product in it will kind of overwhelm it. You leave it in for about 5 minutes and it will feel as if you are brand new silky hair fast then it takes you to style it. 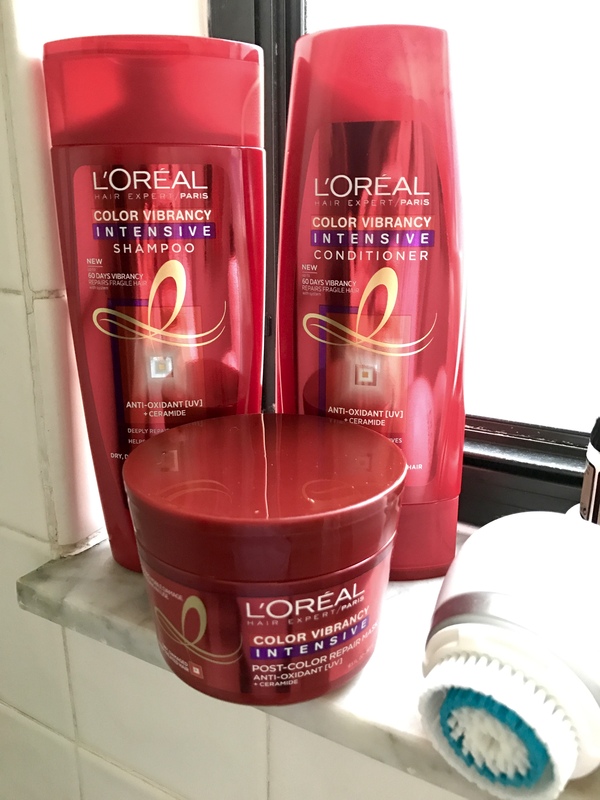 After using it for about a month now I will say that the L’Oreal team has really knocked it out of the park with this line and I may or may not have already stalked up on several bottles of it. I mean you never know when Target will run out of your latest obsession or there is a shampoo shortage… stranger things have happened! Thank You all so much for reading and I hope you enjoyed!